In 2014, NYX Gaming announced a live dealer partnership with Extreme Live Gaming, and while they rolled these titles out in late 2015, Leo Vegas has only recently added them to their catalogue. NYX Gaming struck a deal with Extreme Live Gaming in 2014 to create a live dealer platform for operators which employ NYX – and now you can play them at www.LeoVegas.com. While Leo Vegas already employs a catalogue of Evolution live dealer games, as well as NetEnt live dealer titles, these new additions give players even more variety making Leo Vegas one of the biggest live dealer casinos. 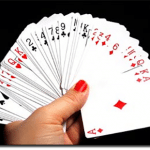 Eight decks are used, with seven seats available as well as the option of three side bets – Bet Behind, Perfect Pairs, and 21 + 3. Betting time is only 11 seconds so you will need to make your decisions fast. 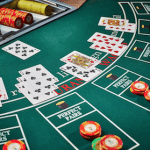 There is also live dealer roulette, and live dealer baccarat available from the provider at Leo Vegas and players can access these games via their desktop or mobile device, and even via their TV. Extreme Live Gaming was established in 2013 and has risen to the forefront thanks to the partnership with NYX Gaming, with the sole vision of taking live dealer games to the next level. Extreme Live Gaming offers a unique X-Mode which integrates advanced technology to offer a one-to-one scenario when seated at the table, irrespective of where you sit. 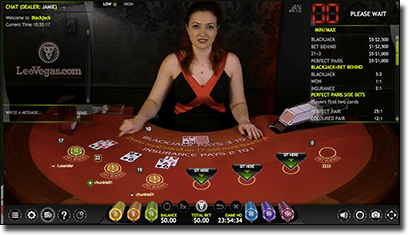 X-Mode is available for all blackjack live dealer titles. Overall, X-Mode is a camera view available which mimics the land-based casino experience. There are other features available in other live dealer titles including Golden Ball in live roulette variants, where a tournament is held and after wagering for 20 rounds a player gets the chance to spin a golden ball, control where it lands, and win a promotional prize, provided the online casino activates this feature. Extreme Live Gaming titles offers a very personal gaming experience, which is thanks to their aim to mimic land-based casino experiences. The software is smooth and while there aren’t too many blackjack variants available the standard titles on offer are great additions to Leo Vegas’s live dealer catalogue. If you aren’t a member at Leo Vegas now, be sure to follow our links for convenience and sign up in just a few minutes to play real money live dealer blackjack.